Posted on December 14, 2016 by Tom Manoff	in Performance and tagged featured-right. Shai Wosner and Matthew Halls at the Oregon Bach Festival 2011. EUGENE OREGON June 23 – July 10, 2011. PIANIST SHAI WOSNER has received raves in the musical world for more than 10 years. He may not be a household name yet, but he’s on course – especially if audiences distinguish between greatness and hype. Some miss his charismatic playing because of his onstage personality. Wosner hasn’t a hint of self-aggrandizement: No swooning, no hamming it up, and no false theatrics. The drama is completely in the music. What a fine drama it was on July 10th at the Oregon Bach Festival. Deftly planned, the program explored variation form, each work either an official set of variations or involving its procedures: Handel – Suite in B-flat Major ; Oliver Knussen – Variations Op. 24; Johannes Brahms – Variations and Fugue on a Theme By G.F. Handel Op. 24 ; Beethoven –Variations on an Original Theme Op. 34; – Beethoven Piano Sonata in F Minor – Appassionata Op. 57. Brilliantly executed, the recital showed the qualities that make Wosner’s artistry so extraordinary. All the pieces were played with the same intensity of attention. The recital had no stand out. Each work was part of the recital’s form, if one can say a recital has a form. There was a fluid excitement in every note, every phrase and every silence. Wosner’s technique is pristine. He’s quite capable of splashing notes into a hall to titillate audiences with some “favorite -fast-fingers” show. He didn’t and doesn’t. But there were plenty of technical challenges on this program, some unnoticed by non-musicians I suspect. Wosner moves through difficult passages with ease, in musical context and without calling attention to the moment. His gaze into the music structure and “meaning” is all-inclusive. Wosner’s artistry is based, not on showmanship or audience approval, but in a profound journey through music’s inner life. Form is a rather big concept to use here, but it’s one of the terms, when used in its fullest meaning, that captures this “inner life” of a work. Form is no mere set of boxes into which sections of music fall. Form includes phrasing, melodic and harmonic structure, musical development, relationships between key centers, repetition and variation (to name a few) – all unified as one experience. Listening to Wosner, I hear musical forms coming alive and revealing themselves anew. The pianist, himself, slips beyond my awareness as the composer’s music emerges as pure creative energy. I can’t ask more from any performer. Wosner is also an adventurous fellow when imagining new directions for chamber music. His “dream project” (as described to me in an interview) is a collaboration with a dancer to explore the dramatic elements in Schumann’s Carnival. Wosner’s piano/dance program would certainly find a place in a festival that already presents music with staging, if not always successfully. The “Brahms Soiree” on July 6, an awkward attempt to recreate a Viennese gathering of musicians, needed a lot more schnapps to digest its schnitzel. Wosner was the mainliner, and played intermittently, but the overall program suffered from the uneven level of the artists. It’s no soiree to hear chamber music from players so wildly mismatched in abilities. There should be simple test for any OBF event. Would it be presented elsewhere – in Portland or L.A. or New York for example ? If not, it shouldn’t appear in Eugene. OBF shouldn’t treat Eugene as the “anything goes” town for the locals. Wosner’s OBF stop was brief in his full summer schedule. Following OBF, he played chamber music at Chamber Music Northwest, a recital at Oxford Philomusica, chamber music at Santa Fe Chamber Music Festival (with David Shifrin, among others) and New York’s prestigious Mostly Mozart Festival at the end of August, that appearance with one of his regular collaborators, the wonderful violinist, Jennifer Koh. OBF should have him longer. More than that, he is the perfect musician with whom to anchor a first- rate chamber music tradition, something OBF has never had. Wosner as a concerto soloist would be a fine event for this festival, also, either with a conductor or the pianist leading the OBF orchestra himself from the keyboard – something Wosner does at other venues. He’s a splendid Brahms interpreter. The Brahms Bb flat Concerto at OBF would be a spectacular draw for audiences, and healthy commitment to the next generation of important artists. CELLIST ALBAN GERHARDT’S artistry was known to me through his recordings with pianist Stephen Osborne of the Shostakovich and Schnittke Cello Sonatas on the English Hyperion label. Gerhardt played three concerts at OBF, each presenting two Bach Cello Suites with one by Benjamin Britten. I heard the last of the concerts. I’m not a stickler for “correct” performance of Bach. The heavens are in the music’s stars not seen or heard through mortal gauze. I liked the Swingle Swingers in the 60’s and Wendy Carlos’s Switched on Bach too. I once did a summer review of Bach on the accordion, which had a sort of “Bach-at-a- barbecue” sensibility. Cheerful stuff. Having established myself as a barbarian (who isn’t at a barbecue? ), I still find some Bach interpretations distasteful – Gerhardt’s most certainly. To be fair, I only saw the last of three concerts, a program that had Bach’s Suites in C Major, No. 3 BWV 1009 and No. 5 in C Minor, No. 5 BWV 1011. I found Gerhardt’s playing in both Bach suites indulgent and even incomprehensible . Apparently Gerhardt is experimenting with a highly personalized new “take” on Bach – more dreamlike than thought through. Dreaming is good but Bach needs much more. With neither clear motivic sculpting or rhythmic underpinning for the dance forms, the musical foundation was shaky, if it was there at all. The suites were also technically insecure, unless all those missed notes and high squeaks were part of some purposeful noise collage. Too much of Jung’s shadow and too little of Leibniz’s world order. Some claim that Baroque performance practice takes the theoretical Doctrine of Affections too far. But a doctrine of defection goes awry in another direction. However, Gerhardt ended that program with a stunning performance of Benjamin Britten’s Suite No.1 for Solo Cello Op. 72. Impressive at every level, in Britten I heard the wonderful playing from Gerhardt that I knew from his recordings. Gerhardt’s recital had me wondering again about the future of chamber music at OBF. The festival hasn’t offered a strong profile yet for the future of its chamber music. A joint recital from Wosner and Gerhardt would have been intriguing. (I couldn’t shake the imaginary sound from the phantom duo in the week after the festival). Artistic intermingling of first-rank musicians is the mark of all high- level chamber music programming. IF GERHARDT’S BACH banished Jung from my library (he’d been a discarded footnote to Claude Levi-Strauss for 30 years anyway – Levi-Strauss’s structuralism brings all kinds of enlightenment to music,) conductor Matthew Halls’ appearance had me digging around my library for John Hollander’s, The Untuning of the Sky: Ideas of Music in English Poetry, 1500-1700 . Hollander’s masterpiece is among the greatest books ever written about music. It chronicles through poetry the passing of the ancient myth of the Harmony of the Spheres to a more modern, demythologized sensibility about music. The gradual transition occurred by the early Baroque period, though some of its deepest ideas remained, redefined as wistful aesthetics, not absolute truth to the emerging scientific age. Bach surely is the musical peak of that cosmological energy. Counting millennia one can look quite far back, beyond Europe into the myth’s vast world history. Count notes, count stars, count the Trinity, count gods and goddesses alike, and you’re counting the musical structure of the universe, according to the ancients. To understand Hollander you must read and understand poetry. I’m going to guess that this applies in some way to Matthew Halls too. Poetry (or text, if you must) is no small issue for this conductor. His performance of Henry Purcell’s Welcome to all the pleasures, showed immediately that he treats text and music as a complete unity. The rhythms, phrasings, motivic structure – the total substance in the music – can only be understood and made into sound through a complete and utter unity with the poetry. Performances of Purcell – and many other composers – suffer interpretations in which music and text seem disembodied. Modern audiences may read a text for meaning but have little experience listening to words and music as inseparable – except, notably, in popular music. One wishes they could listen to Purcell in some shady grove with some wine and a few dancing nymphs – and “get down” with the lyrics a bit. Hall’s Purcell showed that the conductor is an exceptional interpreter of the composer’s music. I find very few recordings of Purcell untouched by a certain stuffiness. Halls found the wispy but earthy magic in the music: Lightness was matched with solid structure, poetry with the sound from instruments and voices alike. Halls’ tasty recording of Purcell’s Ten Sonatas in Four Parts on Linn Records, is required listening when considering the conductor’s OBF future. Rarely has Baroque music other than Bach and Handel been heard at this festival. Rilling once offered some Monteverdi and Schütz. Perhaps there was more but not much. Indeed the festival has mostly treated Bach as a beginning for musical traditions, leading ahead in time to other composers. Halls’ Purcell pointed to possible OBF programming of a much wider gaze into all the Baroque, not only presented, but performed with expertise. Because Halls had been heralded as an early music specialist, I was unprepared, as were others, for the richly textured vocal sound from the OBF chorus in Britten’s a cappella setting of a W. H. Auden poem, Hymn to St. Cecilia. With this performance, Halls showed himself in Paul Hillier territory. OBF has long lacked a choral conductor at this level, a conductor with a masterful choral technique and profound understanding of a cappella vocal sound. Halls conducting technique stems from choral performance. It would be interesting to see that technique with a full orchestra in music from the core classical 19th century tradition. The evening closed with a big-time performance of Handel’s Ode on St. Cecilia’s Day HWV 76. A question for anyone following Rilling is can he or she make a big Baroque splash in the Hult Center’s cavernous Silva Hall. Halls can. Although it was an “early-music-meets- mostly- modern- instruments – in- a -way- too-big-space” sort of thing, it was perfect for this hall and this festival. The players followed various aspects of Baroque practice: No vibrato from the strings (well, mostly) and lively Baroque phrasing which was dramatic and fetching. Perhaps most important, all the performers were joyfully connected with the conductor. Keen, energized music-making all around. The critical pencils were out for Halls’ stint as lecturer on Bach in the festival’s Discovery Series on July 5th. Rilling’s role as the fatherly Bach specialist, presiding over the composer’s legacy with a firm, warm and sometimes wry spirit, has been central to the festival’s soul. During this festival I saw Jeffrey Kahane, Helmuth Rilling and Matthew Halls lead Discovery concerts. I found Halls quite brilliant, a worthy bearer of Rilling’s legacy, but even more important, a reliable and steady beacon for Bach’s music. Halls may strike some Eugeneans as a rather lofty fellow with an English accent, but, if so, they’re missing his essential qualities. Not only does he understand Bach, he doesn’t hide his true humbleness before Bach’s incomprehensible genius. He said so at the lecture with heart on sleeve. I believed him. Rilling can serve up Bach with elegance and meat and potatoes. It is perhaps this wonderful combination of high mindedness and earthiness that makes him such a powerful and lovable figure in Eugene. Halls’ personality isn’t exactly earthy, though he finds all kinds of deep soil in music. He’s elegant, certainly, but also deeply lyrical and poetic, important qualities for performing the most earthy of music. Halls has two fine recordings of Bach on Linn Records: The Goldberg Variations and the Easter and Ascension Oratorios. More required listening. I have written before that a failure of this festival has been the absence of music from the epoch before Bach. Where are Pérotin, Dunstable and Josquin ? Where are Machaut and Tallis ? 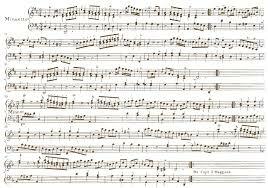 Where is the great musical arc that led to Bach, he the mightiest of all figures in Western Music’s thousand- year run, positioned at the midpoint and even outside history, striding past and present ? And where is the rich cultural/historical lineage that included the Harmony of the Spheres, the sacred counting of the cosmos in which the heavens were a model polyphony, harmony and counterpoint, the essential became the spectacular tools for the West’s music, sacred and profane ? I suspect that Matthew Halls might bring more of that history to the Oregon Bach Festival, finally connecting Bach to the full mainstream of time. UPDATE: August 24, 2011. Matthew Halls has been selected to succeed Helmuth Rilling as artistic director of the Oregon Bach Festival.